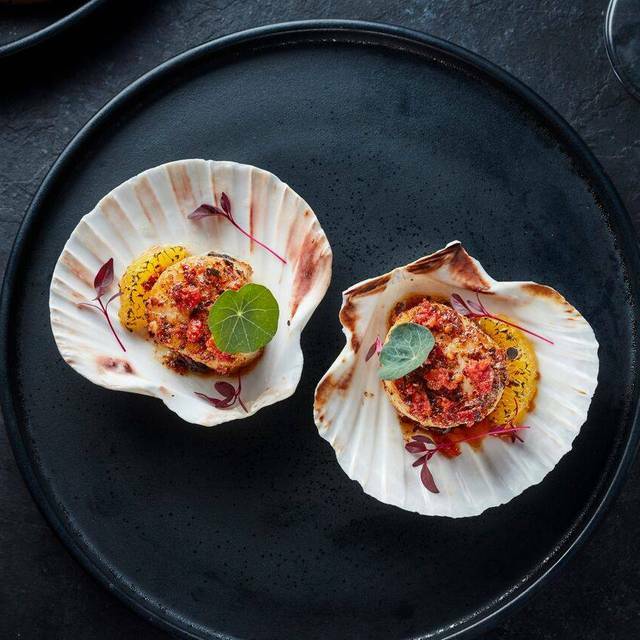 We can be flexible with private events in this restaurant which boasts a private dining room seating up to 18, as well as a private mezzanine which can hold up to 60 guests. We are also happy to arrange tastings, masterclasses and other events as you wish. 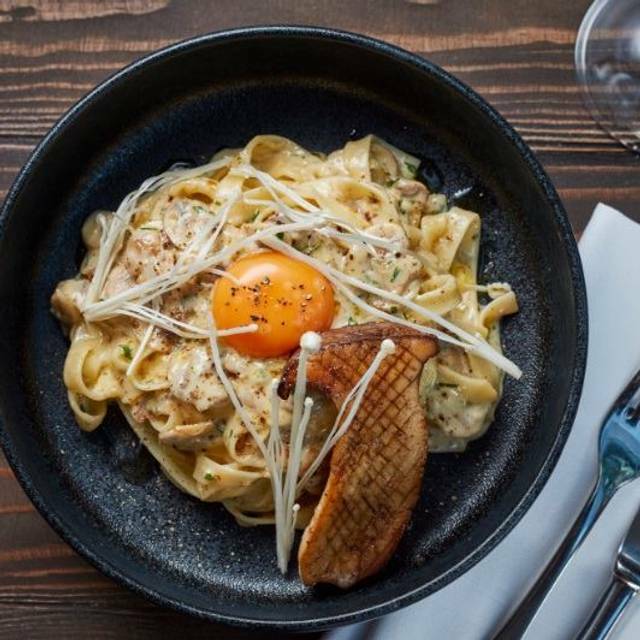 Our Chancery Lane restaurant and bar sits where the prestigious legal district and meets the buzz of the West End. Through its stunning arched windowed exterior, this restaurant is split over two floors. The lower is a light and elegant dining room with a soaring feature wine display showcasing our best vintages and vineyards. An impressive space to host meetings or enjoy a working lunch. As you ascend our spiral staircase, you’ll emerge on our mezzanine dining gallery and bar. A secluded space for intimate evenings or weekend drinks. 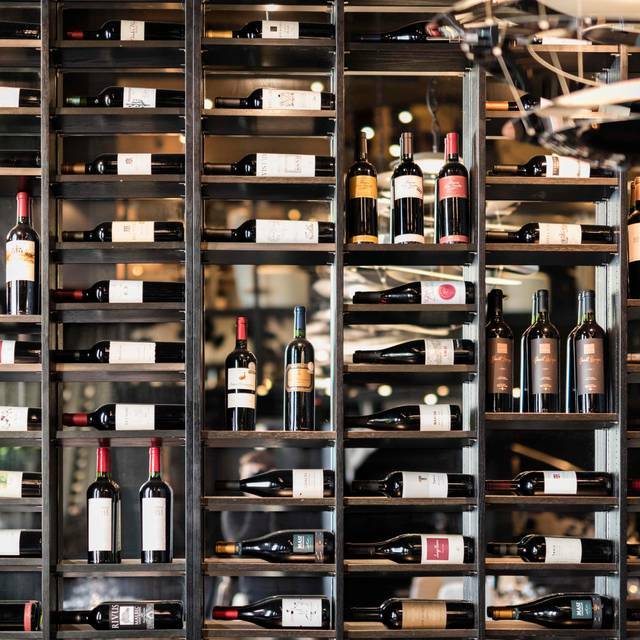 With our award-winning Argentinian steaks, impeccable, curated wine list and attentive service, Gaucho Chancery Lane is the dining destination in historic London. I was really disappointed with Gaucho. The chips were dry and cold, the spinach was over salted, the asparagus was way over done (and cold). The steak was fine, I like medium rare so I expected a temperature to reflect this but if I’m being picky, also a bit cold. My partner likes food not too hot so I only sent back the chips as if I sent the whole meal back, my boyfriend would have eaten on his own. 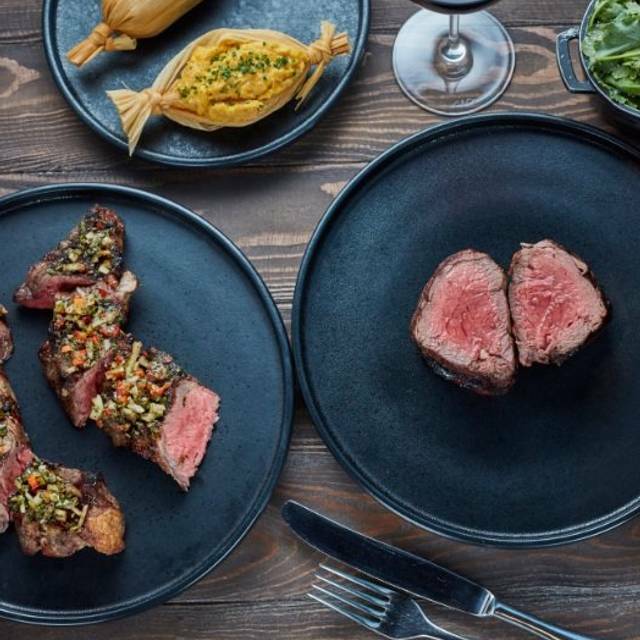 For £114 bill, I expected a lot more from Gauchos and considering I could have chosen any restaurant in London to celebrate with my partner, I’m gutted I wasted money here. Starters were awful tasted as if they’d just been defrosted, so cold and highly unappealing. Mains and deserts were pleasant. It took 45 mins to get any drinks. Very loud. Slow service throughout and dishes pretty much thrown on the table. Food was ok - not great. 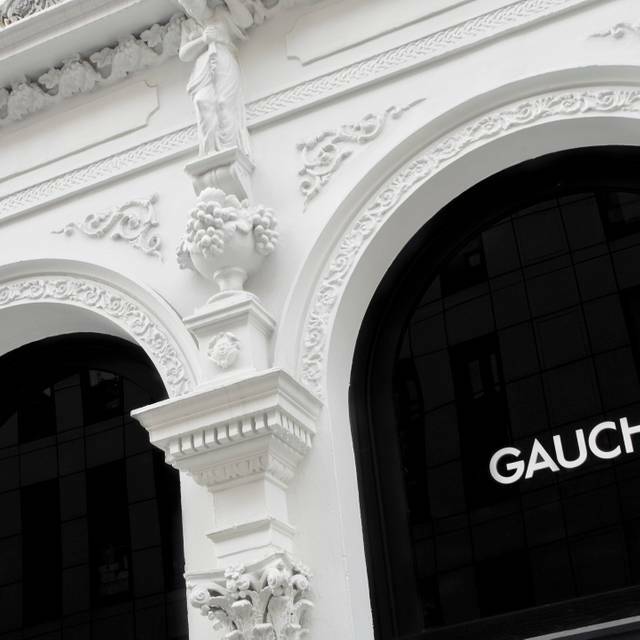 Gaucho is not what is was 10 years ago. We went for pre theatre dinner an hour and 15min before our Lion King show, our dinner showed up for 50minutes of us being there and we hadn’t ordered any starters either. So we ended up rushing through our dessert. You could forgive this if it was busy but there was only about another 4 tables eating there that was all. So service slow but friendly people. Fantastic! Had a wonderful meal with cocktails and wine. Waiting staff was excellent. 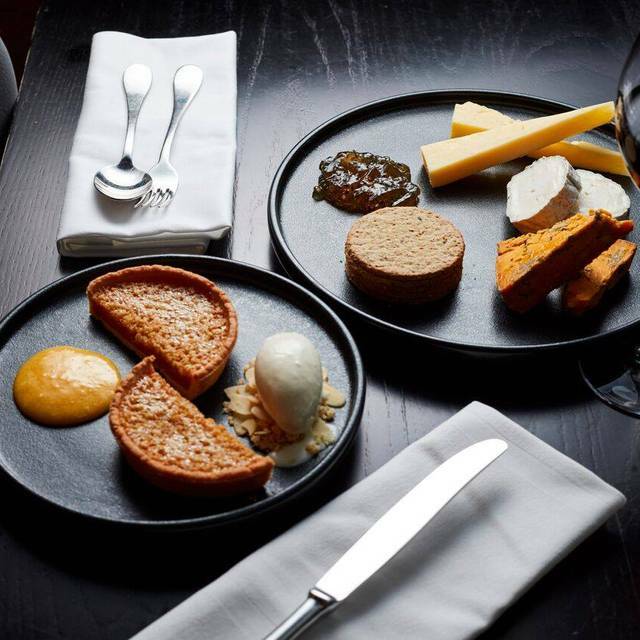 I am going back to Gaucho Chancery Lane next month. We had a lovely evening and it was well worth the money spent! Would very much recommend for a date night or business lunch/dinner. Great ambiance – service was great! Starter was okay- tuna ceviche. However we ordered the sampler board and the steaks were completely bland. I was not expecting this from gaucho. Extremely disappointed as it put a sour note to our celebrations. The swordfish was cooked much too much. It tasted dry and the only reason I finished was due to the price. However, the steaks were amazing. Service at the bar before we went to our table was almost non-existent without going downstairs to ask someone. If you don't want people in the bar before lunch, take them to their table. Then the white wine served in the bar was room temperature at best and the guy serving seemed a bit confused as to why we'd want cold white wine. We ended up asking for ice. Low grade. Fortunately, the food was excellent and made up for this minor issue. Absolutely brilliant experience. The starters and mains were an absolute treat - I went for the beef empanada and lomo steak (which was like a beef medallion). Lomo was cooked to perfection and so succulent. I loved every bite and wanted more. I really enjoyed the chips too. Defiantly worth a visit. Th food and drinks were great. A charming ground floor room with cosy tables some of which were possibly too close together. Service was prompt, pleasant and informative. Cocktails were very good as were our glasses of tap water. Fillet steak was good but not as tender as others I’ve cooked and eaten and became cold quickly as the plates were merely tepid. Pleasant experience and would give it another try. A beautiful room with pleasant helpful staff. We ate as part of a pre - theatre package on a three course set menu. Good choice of tasty food which was presented well. Very reasonable pricing for central London. One of the best Gaucho visited. 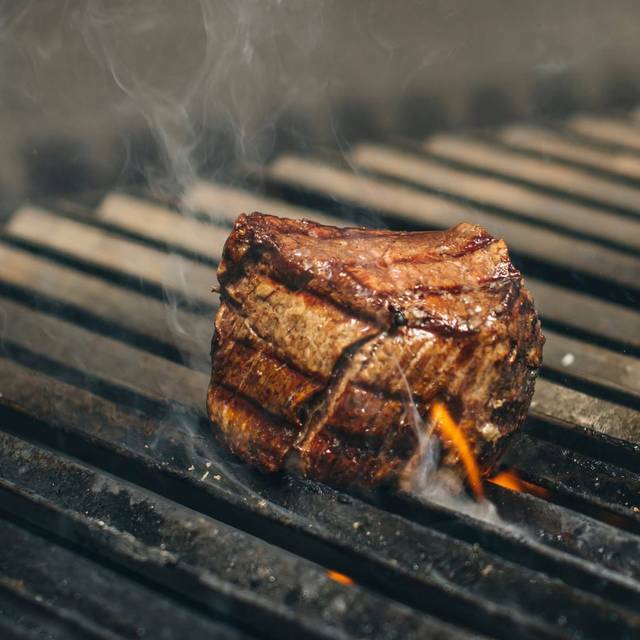 Steak cooked to perfection. Service was excellent and the waitress was very knowledgable. Unfortunately this Gaucho branch did not hit the mark. Regrettably the steak was extremely fatty (I appreciate rib-eye is a fattier meat, but this was on a different level - approximately 300 gram of fat on an 800 gram steak). The steak grille plate was cold, and so was the steak. Broccoli served with popcorn? The trio dessert , was great for 2 of the items, but the 3rd item - the biscuit on caramel does not suit the dish at all - hard and cold, while the pancake and churros are warm. This visit was part of a Timeout Special which was offered (it includes a sharing steak, sides, sauces and wine for 2), however not sure why we were asked if we wanted sides or sauce, which is included?- please note that when you take advantage of the special, the gratuity is at your discretion, however if you order dessert like I did in this case, the gratuity is added to the full total (Timeout voucher, as well as the dessert price) - it says at your discretion but is processed with the included amount without asking if you are happy to include it at 12.5%. This branch is extremely different to the service and food which I received from the Richmond branch a month ago which I granted 5 stars in all aspects. Service wasn’t as good as Canary Wharf or Regent Street. Would go again as the location worked out well for us this time around. Outstanding food and service! It was my birthday and they brought my dessert out with a candle and a glass of champagne on the house! Would definitely go back again! We love going to gaucho, visited the o2 and tower bridge this year and was lovely. Chancery Lane for New Years didn’t quite live up to it. Our table was pre booked for half past nine and we waited half an hour to be seated, with no offer of a drink while we waited. We asked several times how long till our table would be ready and kept being told 2 minutes. We were finally seated and whilst eating our bread starter, a woman brought out the main, when I asked her to take it back she was very rude and couldn’t understand that we had only had our bread for a moment and was reluctant to take it back. The waiter was good and made up for the poor service elsewhere within the restaurant. We had a drunken couple next to us also that were passionately kissing all night and the managers did nothing to intervene or apologise. We do love gaucho for the food and experience but we’re very disappointed to have this experience on New Year’s Eve. We’ll avoid Chancery Lane Gaucho in the future but continue enjoying the good steak at the other restaurants instead. I'm Argentinian and I absolutely loved it!! Missed eating strakes as good as this one :) It's quite expensive but definitely worth it!!! 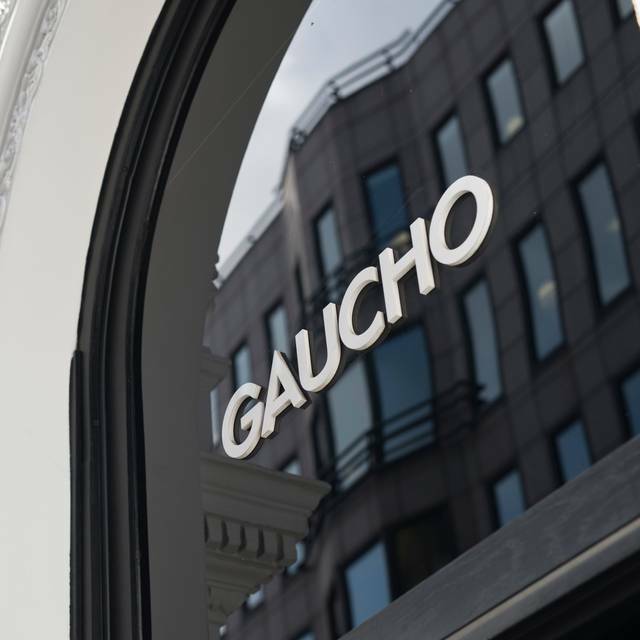 I visit Gauchos a lot it is one of my favourite restaurants! But this was a disaster! Service was slow which I expected being as it was New Years Eve. I didn’t expect the food to be bad and to be served with a crack in my glass and split my lip.... I look at this restaurant as a 5 star restaurant but after experiencing This I don’t know if I would return!!! Really great food! The service is impeccable. Really great experience all round. Proper Argentinian Steaks, excellent wines, we will be back. 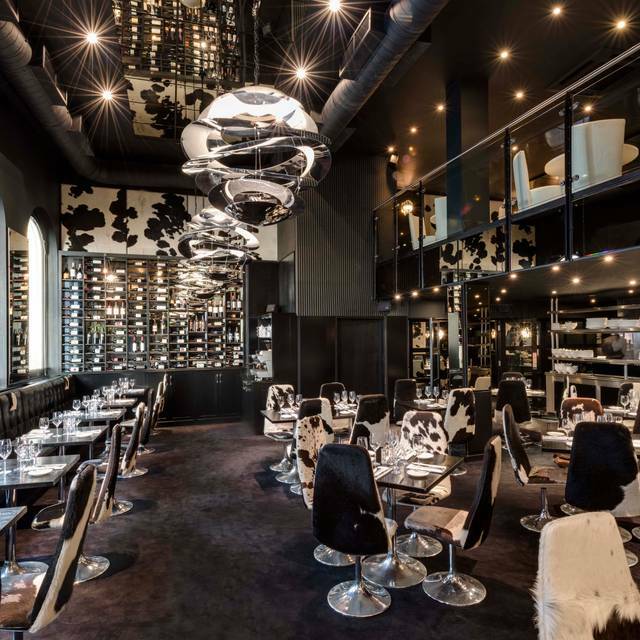 Gaucho Chancery - Amazing food, however our table felt too close to nearby tables of people, so it didn't feel like a dinner date atmosphere. We would have preferred to be given a choice of available tables to sit at. We enjoyed our visit to this restaurant. It was friendly place with a relaxed atmosphere. Interesting to see the cuts of beef. This helped to make a choice with the cuts and how it was cooked. It was the best place we went this year! Thanks Gaucho!!! Family Christmas Dinner for 5 (two children). Service was attentive and accommodated children's menu and modifications. Steak was good quality, tasty and perfectly cooked. Incredible - went there for my 25th birthday with my friend, and we both had an amazing experience. We both ordered the steaks with some sides - I got the rib eye with some blue cheese hollandaise sauce, which was absolutely divine. The waiters were brilliant - they even came out with a lovely birthday platter with churros and caramel sauce, it was wonderful surprise and really delicious. The only downside was there was a table next to us with really loud, drunk men who wear swearing on top of their voices, but the waiters were trying their best to calm the party down as it was bringing down the overall excellent ambience of the place. Cannot recommend this place highly enough, one of the best birthday meals I have ever had. Lovely venue for good food and drinks with friends. Made even more affordable with the offer on a 3 course meal and drink. A disappointing visit to this usually good branch of Gaucho. I asked for them to accommodate an extra place and was told this was not possible I then had to ask if we could go somewhere for a quick drink and chat before our booking which was possible at the bar which was empty, we could have eaten as a larger group here. 10 mins after our reservation time I asked if we could be seated as no one had come to get us or show menus only to be told I would have to wait 10 mins, I asked again 20 mins later and still had to wait, they had clearly given our table away! We eventually sat at a table over an hour late. This was a business lunch and the service was poor not only in being seated but throughout the meal. I hope this was just due to the time of year. Great food, friendly staff, good location too loud -- looks like a real restaurant from Argentina. I would return for a second visit. Great value, 3 course £35 deal, but service slow and main event (steak) pretty tasteless and not cooked to the order.